Birmingham reggae legends UB40 are gearing up for the release of a new album and a short UK tour which includes a date at Coventry's Sky Dome Arena on September 13. The album, Getting Over The Storm, is released on September 2. As well as five original songs it features covers of tunes originally written or recorded by country music artists, a genre loved by Caribbean audiences, says UB40's saxophonist Brian Travers. "We've all spent a lot of time in Jamaica and country music is very much part of the fabric,'' he claims. ''It's an honest music, just like reggae. The two genres really sit together well." The band's MC Astro adds: "In the Caribbean there are very few households that do not own a Jim Reeves album. I certainly had them in my house, as did all my West Indian friends when I was growing-up. When you'd go to their houses you'd always see Jim Reeves staring back at you from the Blue Spot Gramophone! Country music and Jamaica are so finely entwined." The genesis for the country covers dates back to 1990 when UB40 were recording their single I'll Be Your Baby Tonight with their friend, the late Robert Palmer. Robert and the band also recorded their version of the Randy Travis song On The Other Hand which UB40 wanted to use on Getting Over The Storm but were unable to agree terms with Robert's estate over the use of his vocals.So UB40 frontman Duncan Campbell re-recorded the song for the record. Guitarist Robin Campbell says: "Then the idea of covering some other country songs really intrigued us so we started trawling through our favourite country albums and settled on songs such as George Jones' Getting Over The Storm, Jim Reeves' He'll Have To Go, Willie Nelson' Blues Eyes Crying In The Rain and Vince Gill's If You Ever Have Forever In Mind." As with all of UB40's albums since 2005's Who You Fighting For all the tracks were cut live in the studio. "We don't use studios like we used to,'' Robin reveals. ''It's like a rehearsal set-up, where we sit in a circle and play together. It helps get the vibe right." 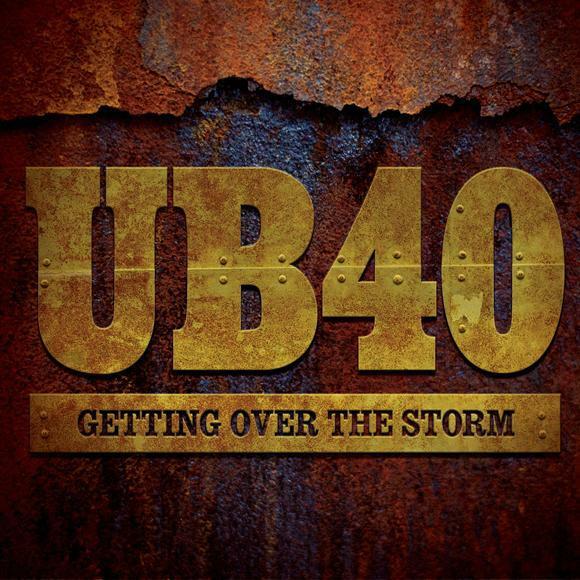 Formed in 1978, UB40 have often been associated with politically charged songs but that's not the case with the lyrical themes on Getting Over The Storm, with politics of the heart more to the fore. However, they do cover How Can a Poor Man Stand Such Times and Live?, the 1929 Great Depression song written by Blind Alfred Reed and later popularised by Ry Cooder on his self-titled 1970 album. "We reworked the lyrics to update them a bit," explains Robin "But that's the only political lyric on the album. The rest are 'somebody-done-somebody-wrong' songs. We all know someone who's had their heart broken." Duncan Campbell, singing on his second full album with UB40 since replacing his brother Ali Campbell in 2008, comes into his own on Getting Over The Storm. Brian is quick to pay tribute to his bandmate. "Duncan's been a singer all his life, but it's been a really steep learning curve for him coming into the band and becoming a recording artist. His voice and his style of singing is really suited to the songs on Getting Over The Storm. He's done a great job." September 20: Planet Ice Arena, Cardiff.